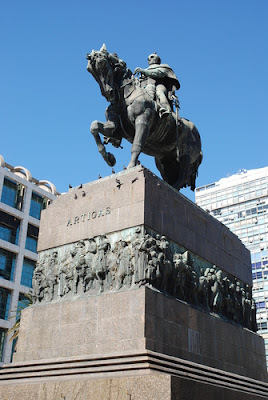 You can’t visit a town in Uruguay without seeing a statue or bust of José Artigas, the father of the country. His vestige looks down on the Urugayos in almost every plaza or school in the country. His image is on the money. His portrait is almost ubiquitous as the mate they drink. Funny thing is, he was never even president. In June of 1982, I made the six-hour trip to Tacuarembó, Uruguay, on the Onda (the prominent bus company of the day) sitting next to a guacho. I tried to carry on a conversation with him, but it was pointless. I began to wonder if they taught me the wrong language. Thirty years later I drove a rental car into Tacuarembó with my oldest son Rian, and my sixteen-year old, Carson. I made the trip halfway around the globe to drop Carson off to live with the Fontes family so that he could experience life outside (way outside) the United States. I was also excited to spend some time with my sons. I had the address to the home, but it wasn’t on the map, and my phone’s GPS wasn’t any help. “Don’t worry,” I told my boys. “Everybody in town knows David Fontes.” I stopped at the gas station and asked for directions. Nobody knew the address, but when I mentioned David, they had him on the phone in less than five minutes. Small countries have more reason to celebrate their heroes than big ones. The heroes of small countries have a bigger impact on their history and leave bigger scars on the psyche of the population. Smaller countries also have fewer heroes to choose from. Artigas was no exception. His passion for the cause of the Orientales was unparalleled. He displayed all of the stubbornness and fire of an ardent patriot and put his own life on the line over and over again for the cause of independence. We spent the afternoon in the house of friends and got Carson settled in. That evening we went to a mixer at Alianza School, the English school administered by David. I think we intimidated his students a bit. Maybe the setting was too formal, or maybe it was my domineering nature, but the students were a bit shy that evening. Having learned other languages, I can relate to that knot in your gut that keeps your mouth from working properly when you try to speak. I think the fear springs from looking stupid or inept. It takes courage to thrust yourself into another language and another culture. 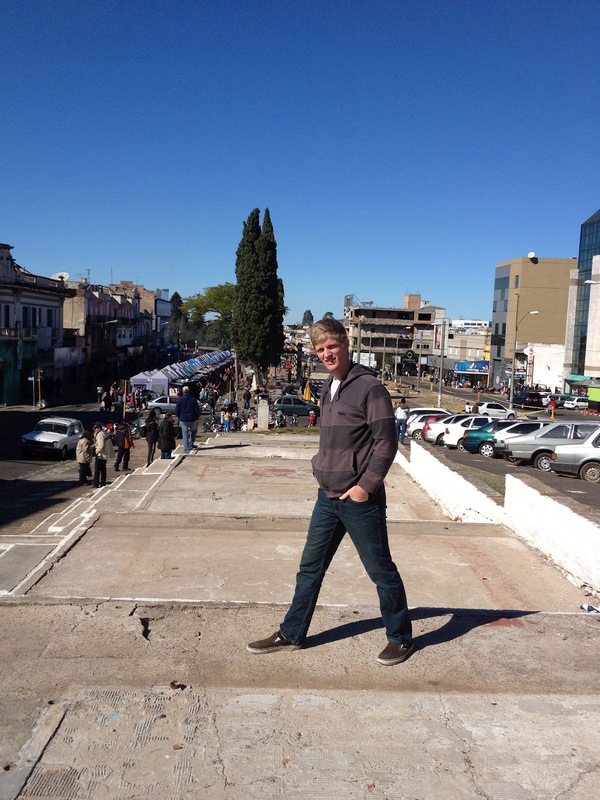 The next day, Rian and I took a trip to the border town of Rivera. The pleasantly hilly city sits smack dab on the border between Uruguay and Brasil. We cruised around the open-air market in search of trinkets in both countries. We ate lunch in Uruguay. We went to the bathroom in Brasil. We literally crisscrossed the unseen line multiple times and discussed the possibilities of disappearing off the grid in such a town (if the occasion was ever required). That evening we returned to the Fontes’ home and had our last dinner with Carson before leaving him to learn about life abroad on his own. When I hugged him, I wondered how the experience would change his perspective of the world and what impact it would have on him. 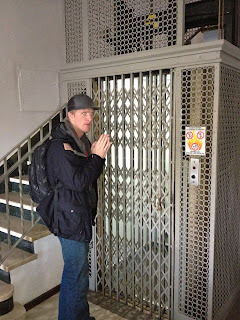 Since we were off the beaten path and traveling during the off season (it was the dead of winter in the Southern Hemisphere), we had some interesting hotel stays. One night we froze to death until my son figured out that the maid had left a window open behind the curtains. Another hotel was so old that the only electrical outlet was in the bathroom, and the elevator looked like it came from the Tower of Terror. We only rode it once. 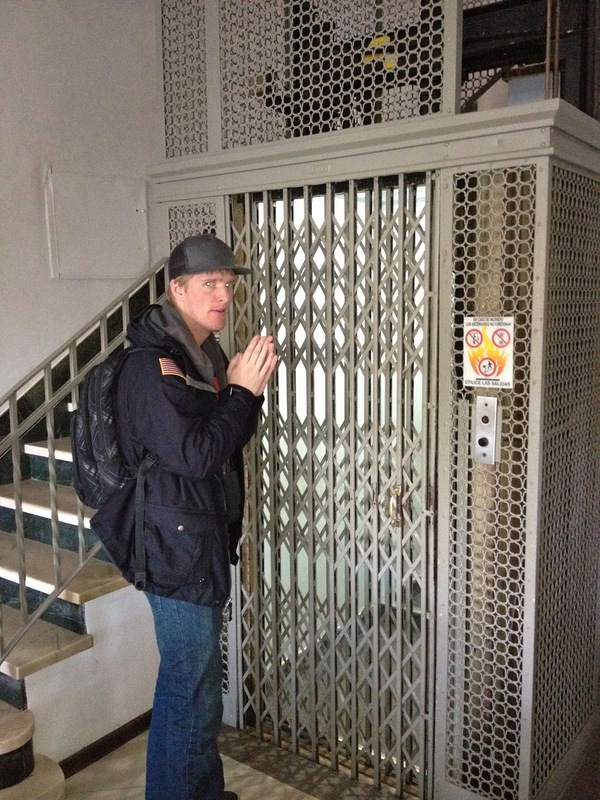 Water pressure was usually lacking, except for our hotel in Buenos Aires, where the shower felt like a fire hose. We chalked it all up to the adventure. When you make a journey down memory lane be prepared for some emotional potholes. I had some wonderful reunions with friends from years past. They had flourished and found a measure of happiness and success, and our visits were warm and satisfying, but not everybody’s story has a happy ending. Thirty years ago, I knew a successful doctor of a small town. He had a wonderful wife, two children, and lived in a big house. He had helped me deal with the stress of being a Branch President (the same as a local Pastor or Minister) at twenty-years old in a foreign country. I owed him a debt. I searched him out and found him in a small row house on a dark street. When I knocked at the front door he said he remembered me, but I think he fibbed a bit. We sat at a small kitchen table in a bare kitchen. The night was cold, but he had no heating. Once a portly man, he was now thin, and wrapped in several layers to stay warm. His eyes vacillated between a far-off look and semi-wild excitement. He spoke of his life in platitudes with exaggerated smiles, but when I asked about his family, the truth was self-evident. His wife had divorced him several years ago because of his drinking problem. Then she had contracted cancer and died. His son still lived with him, but from what I could gather, the son had fallen into the same addiction trap as his father. When I asked about his daughter, he laughed nervously and told me that she was very busy with her life and rarely stopped by. Still true to the message of hope I delivered to a good doctor thirty years ago, I reminded him that the atonement of Jesus Christ could still apply in his life. I’m not sure if my words penetrated, but his face clouded over. When we embraced before I left, he pulled me so close that the stubble on his face rubbed against my cheek and he held me longer than a customary abrazo. 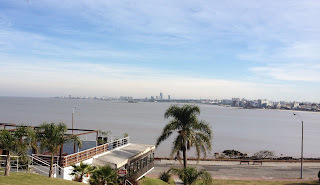 The next day we put Uruguay behind us and took the ferry across the Rio de la Plata to Buenos Aires. José Artigas had a grand vision for the region surrounding the Rio de la Plata that mirrored the structure of the United States, but as is often the case, his vision of independence was overruled by the political ambitions of others. He was outmaneuvered and sent to voluntary exile in Paraguay where he remained until his death. We spent two days in Buenos Aires enjoying the sights of the “Paris of South America.” We spent all afternoon at the open-air market on Calle Defensa. We ate the famous Argentine beef until we were ready to moo. My son Rian found a leather jacket for a great price. We hopped a tour bus and saw the highlights of the city. We enjoyed the sights and sounds of a hustling, bustling city tucked so far away in the south that people forget that it’s there. Our last night in Buenos Aires, I woke up in the middle of the night thinking about our trip. Although it had been interesting, and we had passed several happy moments as father and sons, and with friends, the journey had a lackluster feel to it. I had expected more. I felt like José Artigas. I had bigger plans, but due to circumstances beyond my control, I would have to accept the reality of the day, and move on. Sometimes we make grandiose plans that never come to fruition. We feel like the things we do don’t make a difference in the world. We struggle to understand why others can’t see our vision for the future. Perhaps we too are exiled by the workings of others, or by our own decisions to move on. But life’s struggle is never wrought in a vacuum. Someday maybe, just maybe, the relationships we build, the friendships we forge, the lives we try and touch, will bear fruit, and future generations will honor us for what we attempted to accomplish. 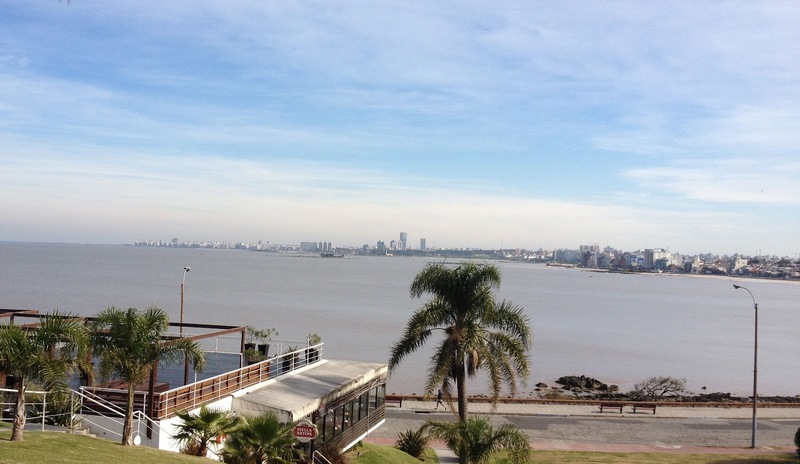 We made our way back across the Rio de la Plata and on to Montevideo so we could catch our flight back home. Our last morning of the trip, I went for a run along the boardwalk. It was a great morning for a run. The temperature was cool, but not cold. The slight breeze was welcomed, and the sun was climbing in the sky. Traffic buzzed along the street as I took it all in. 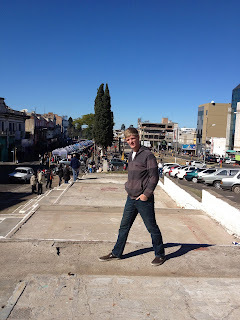 As I rounded a small point, the crowded buildings of downtown Montevideo came into view. Off in the distance in that concrete jungle was a plaza with an enormous statue of José Artigas on his horse, and below the statue lay the remains of the exiled liberator that became a national hero.